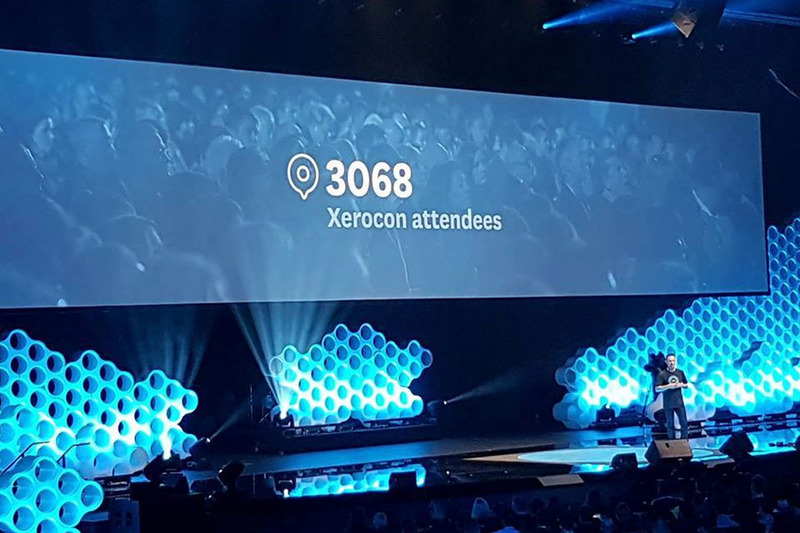 September 14, 2017 – Thursday — Xerocon makes its way to Melbourne, Australia once again for the biggest accounting conference of the year. I’m so glad that the team and I were part of the 3,000 attendees who participated at the event and got the chance to learn many exciting things about Xero and cloud accounting. 1. The newly improved Xero HQ is a cool multi-vendor platform that was designed to help both accountants and bookkeepers in building strong client relationships with the help of tools to drive efficiency and productivity. According to Anna Curzon, Xero Chief Partner Officer, she believes that “helping accountants and bookkeepers in fully embracing technology” will not only help them grow, but this would also spell success to small business clients. 2. Another feature that was announced at Xerocon was Xero Discuss. It will enable accountants and bookkeepers like us to communicate with our clients directly in Xero without the use of emails. Instead of just using the discuss tab upon reconciliation, we would be able to create a note directly from the transaction itself so clients can view it once once he logs into Xero. 3. One of the pain points in hiring fresh grads is the technological gap between schools and the corporate world. The fresh grads know the debits and credits, but seldom do they know what’s out in the market. This new online learning platform from Xero aims to re-skill the accounting workforce by means of sharing sufficient accounting and bookkeeping knowledge to students who wants to learn everything about the industry, and provide educational tools that are accessible to everyone. Xero will provide courses which includes business scenarios and simulations as well as integration with various learning management systems. We’re glad that it’s going to be out in the global market by 2018. 4. Most of our clients had issues using Expense Claims in Xero. We end up using BILLS instead but this new feature seems to be promising. With the New Expense Claim feature, employees just need to take a photo of the receipt and would never have to worry about coding it to the proper account. On the approver level, it looks a lot better seeing all the receipts that the approver needs to approve or deny. And it is also available on mobile devices. Take a look if Xero Expenses is available in your area. Just go to Xero > Accounts > New Expense Claims. 5. The long wait is over! A lot of Xero and non-Xero users have been asking for this job costing feature. That’s why they finally came up with Xero Projects, which will cater small businesses around the world in monitoring active projects and keep track of their time. Thank God for Xero Projects, invoicing won’t be a pain anymore. We can also generate reports so we will know a service company’s profitability per project.